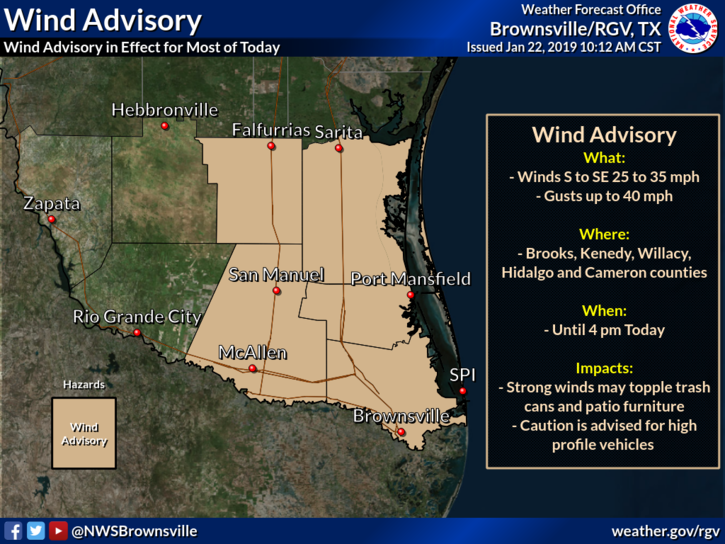 A wind advisory has expanded to now include Hidalgo County, according to the National Weather service in Brownsville. The wind advisory will be in effect until 4 p.m. Tuesday. You can expect winds between 25 and 35 mph, with gusts of up to 40 mph. Caution is advised for high profile vehicles, especially those traveling along East-West highways.